A Scholarship Notebook is available in the guidance counselor's office. Students and parents may come in and browse through the various listings at any time---even if the counselor is not available. Feel free to ask the staff for copies of any scholarships that are interesting to you. Please do not remove the original copy. ​Two bulletin boards (one near the main office and one in the high school wing) are used to announce scholarships, contests, test dates, and other important information. All high school students---not just seniors---should be checking these boards frequently! Explore the various sources of funding available for post-secondary education at the US Department of Education website. 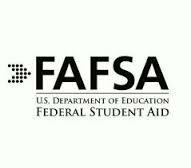 Before officially applying, view the FAFSA-4-Caster.This online tool helps students and parents prepare financially for college. 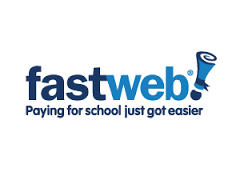 Vist Florida Student Scholarship & Grant website for Eligibility and Requirements. Seniors must complete the Florida Financial Aid Application in order to participate in any Florida Scholarships including Bright Futures. 2. Click on "State, Grants, Scholarships and Applications." 3. Click on "Apply Here". Seniors must also complete the FAFSA in order to participate in any Florida Scholarships including Bright Futures. a. Application must be completed by May 15th. b. Parent's tax information from the previous year must be available to complete application. Depending on the award, Bright Future scholarship recipients must have either 75 or 100 hours of community service. However, all PBA students are highly encouraged to earn at least 100 hours or more of community service. The recent addition of the nationally-recognized Beta Club and Junior Beta Club makes it even easier for students to do so. Contact Mrs. Treadway for a pre-approval of the activity and for the forms needed to properly record community service hours. Students should be checking the bulletin boards frequently for upcoming opportunities.